Ceramic covers have been developed as a new and innovative material for mobile phones. Their production requires complete automation in order to prevent defects during such processes as loading/unloading, polishing, and laminating. Concurrent automated visual machine inspection is also necessary to maximize yield. Demand and production standards are exceptionally high for this market, and thus fully automated around-the-clock production is essential to ensure both production quantity and quality. Ensuring a highly efficient ceramic cover production system necessitates rapid motor control response. In this case, server request–response times had to be in the microsecond range to support the multi-axis robotic arms in the production line. Because development cycles are short, simple connections were needed in order to reduce assembly times. 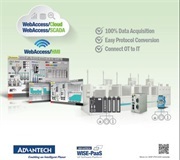 With the automated loading/unloading system comprising many cylinders, sensors, and electromagnetic valves, it was essential to have stable, high-speed data acquisition cards with multi-I/O support. Specifically, the system required 108 digital inputs and 96 digital outputs while still conserving PCI slots for the controllers. 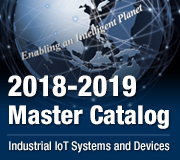 Because defects are difficult to prevent during production and transportation, machine visual quality inspections are critical for this high-speed production environment, thus requiring high-performance data acquisition cards in addition to cameras with a high frame rate. 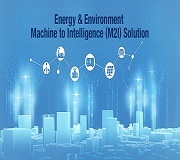 Finally, the controls needed to be simple so that operations could be managed via a single platform, thus ensuring efficient development, testing, adjustment, and on-site maintenance. To meet these requirements, the system had to support at least four PCI slots and two PCIe slots, have a high-mid tier processor, and perform reliably over long periods of operation. Workflow for the loading/unloading system primarily comprises material loading, visual inspection, and material unloading stages. Upon completion of each process, automated visual inspection is performed to profile the work pieces. Using data signals, the system controls the motors to adjust the work pieces so that they are within the camera range of the next visual inspection machine. During visual inspection, work pieces are checked for defects, and the corresponding motor control mechanisms are initiated according to whether the results are OK or NG, with OK work pieces proceeding to the next process and NG pieces being removed. The data from visual inspection are later used to generate statistical reports on such parameters as produced quantity, throughput yield, and efficiency. At the material offloading stage, work pieces that meet specification move rapidly along the production line for final packaging. Our dedicated research team’s extensive experience with motor control applications allowed us to provide professional support for pre-evaluation, sample development, and on-site adjustment. 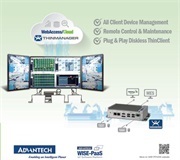 For motor control, Advantech’s PCI-1203 2-port EtherCAT master card was selected because it supports 16 axes that can be assigned to up to five groups, thus enabling automatic operation of the robotic arms on the production line. The card’s onboard dual-core 650-MHz Arm® processor makes it optimal for real-time diagnostics, record control, and error management, all of which have made production line maintenance more convenient. Common Motion SDK support also makes it an effective EtherCAT control development platform for accelerating present and future project development. Control of the stack lights, stop buttons, valves, cylinders, sensors, and other auxiliary devices in the production line was achieved with the PCI-1758UDIO digital I/O card. In addition to providing 128 independent channels, this card also offers a high level of ESD protection, digital filtering, and message processing functions, thus providing a high level of control with only a limited number of cards. 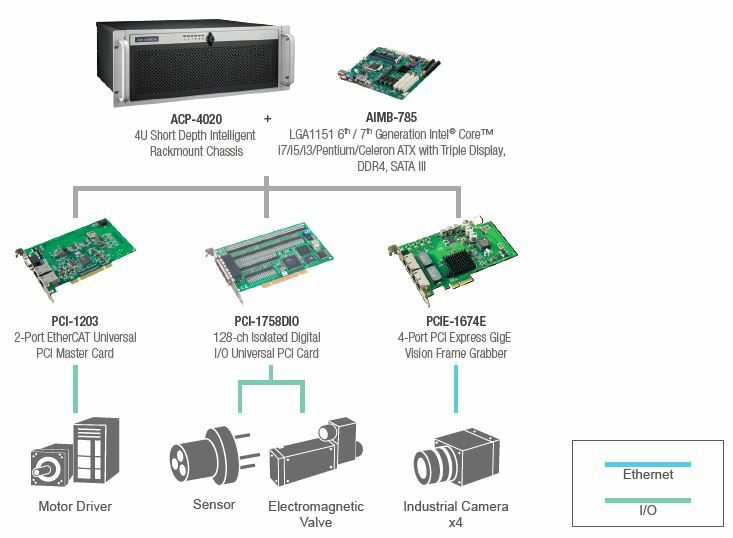 For image acquisition, PCIE-1674E image acquisition cards were adopted to link cameras for high-speed multi-angle monitoring, and their compatibility with commercial GigE Vision cameras allows for flexibility in camera selection. 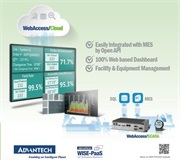 Finally, system control was realized with the ACP-4020, which is the world’s most popular choice for industrial PCs.